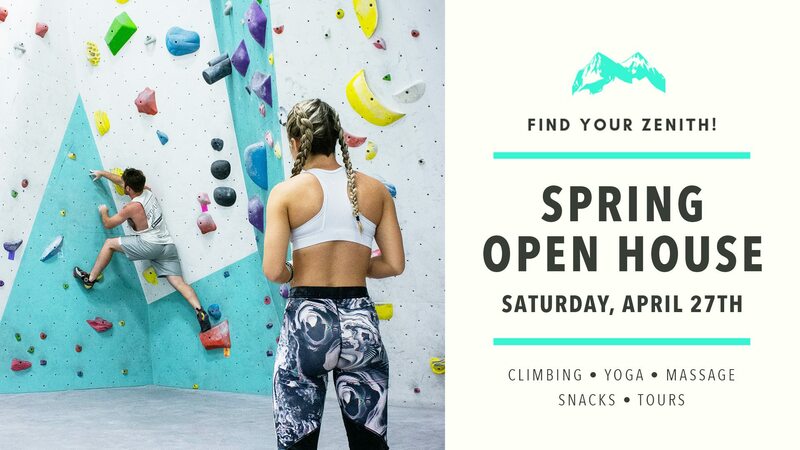 Zenith Climbing Center is located in Springfield, Missouri and is equipped with state-of-the-art Walltopia climbing walls, a training and systems area, yoga studio, and gear shop. Our focus is to promote the sport of climbing as one element of a healthy, balanced lifestyle. No prior experience, reservation, or class is necessary to come climb! Swing by to find out what it’s all about! There is no age limit to climb! There is no skill level necessary to climb! …But, we do have classes & options suited for novice climbers. Includes a full day’s access to climbing and yoga facilities. Rental gear not included. Includes a full day’s access to climbing, yoga, and workout facilities. Rental gear not included. Special member pricing to comps, events, clinics, and more!